Buzzcocks announced the release of a limited edition boxset in celebration of the 40th anniversary of their debut release. Limited to 1000 copies, MK.1 comes hand numbered and housed in a rigid box with lift off lid. 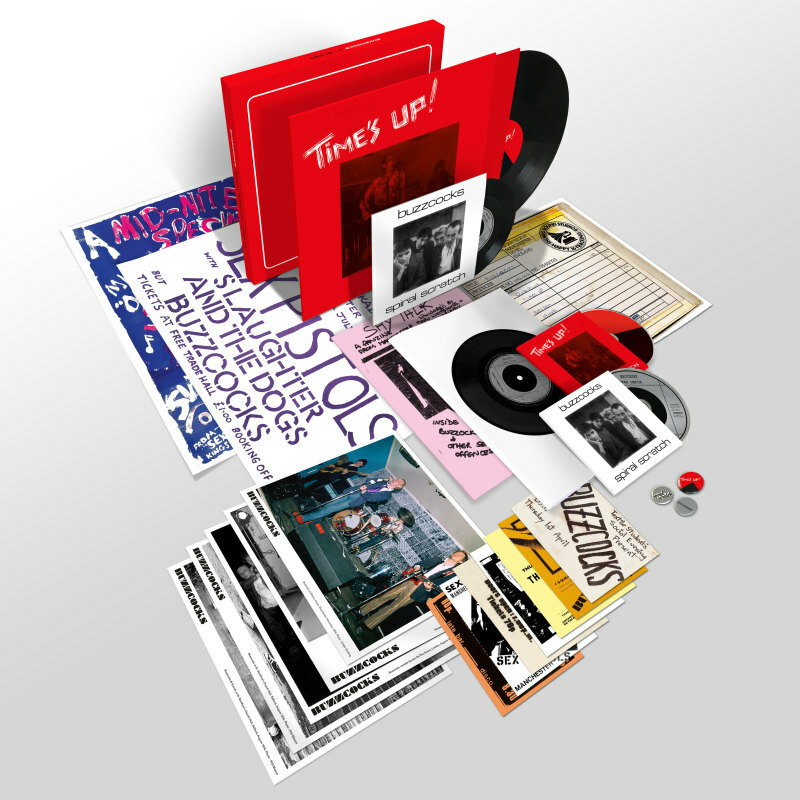 The contents of the box include Buzzcocks' four track EP Spiral Scratch (originally released January 29th, 1977), a heavyweight 12" edition of Time's Up, download card, print of the original Spiral Scratch recording tape box, fanzine, photo prints, and other memorabilia. MK.1 arrives March 10th and is available to pre-order here.